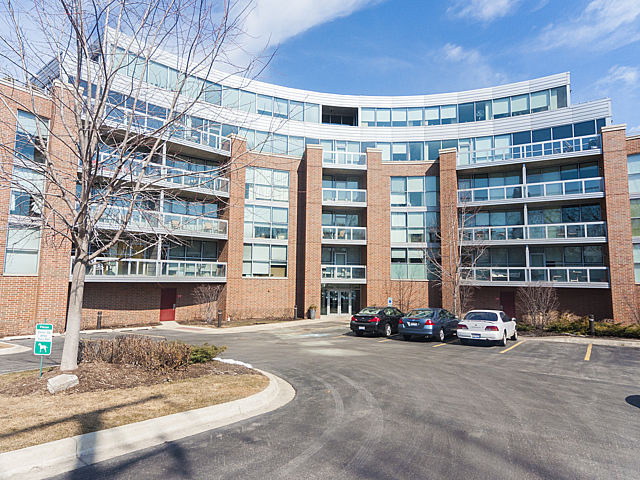 "1228 Emerson Street, also known as Grand Bend due to its curved exterior, is located on the edge of Downtown Evanston. 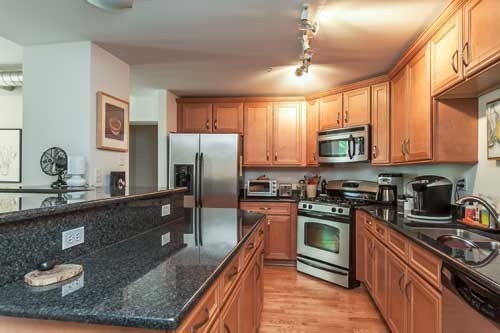 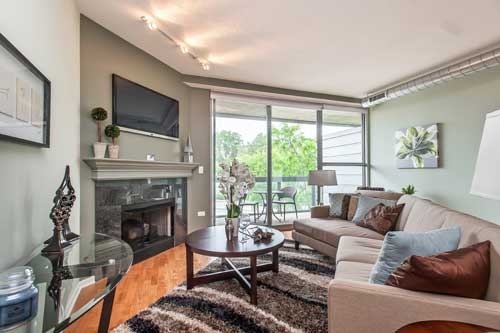 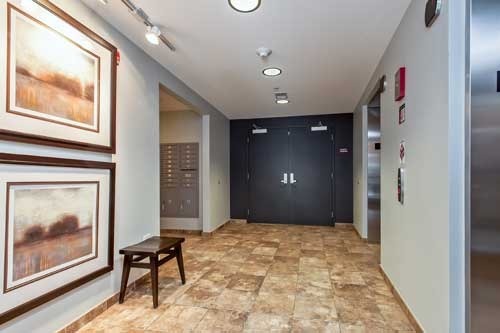 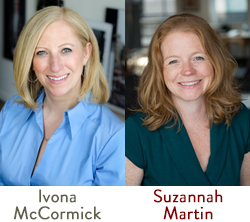 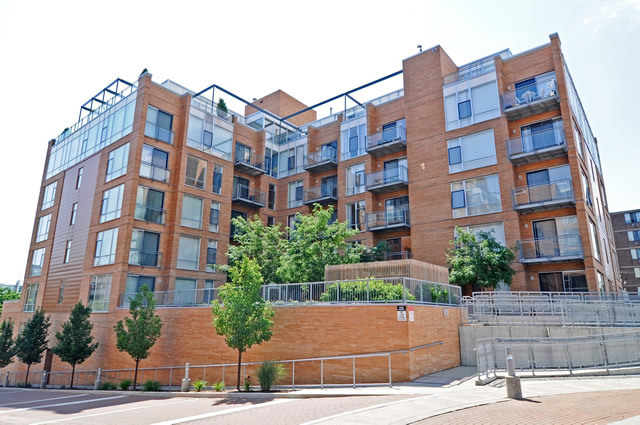 This condo building has a lower Walkscore compared to some of the other Downtown Evanston condo buildings with better access to shops, restaurants and transportation." 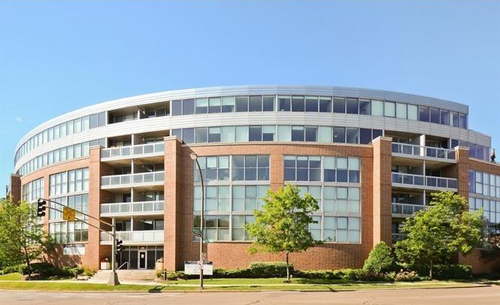 Condominiums at The Grand Bend, located at 1228 Emerson Street offer luxury finishes and fantastic views at the edge of Downtown Evanston. 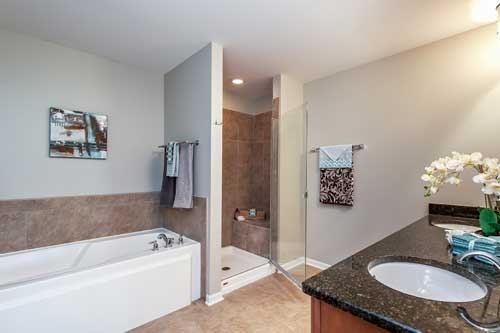 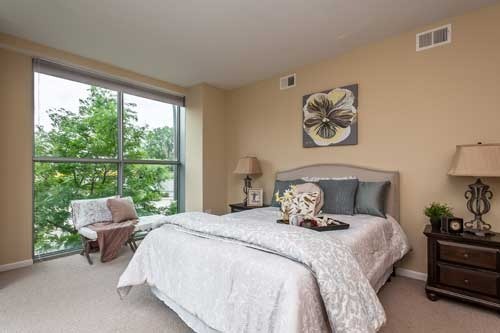 Units feature private balconies and terraces, 9-foot ceilings and floor-to-ceiling window-walls, stainless steel appliances, granite countertops, generous closet space, and in-unit washer and dryer. 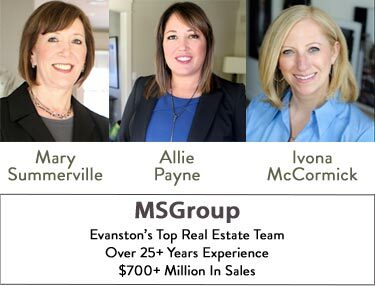 The location of 1228 Emerson St at the intersection of Emerson / Green Bay Road / Ridge Road gives residents flexible driving routes to explore Evanston, drive to other North Shore towns, Skokie and Chicago.